The era of the free ride on District’s 2.2-mile streetcar line, when it finally opens, will not last long, Mayor Muriel E. Bowser’s top transportation official said Tuesday. Leif A. Dormsjo, director of the District’s Transportation Department, made clear at a D.C. Council budget hearing that along with taking a more conservative approach to building a much-contracted streetcar line, the Bowser administration also is rejecting a plan by its predecessors to let people ride free for an indefinite time. Dormsjo also for the first time publicly scaled back plans to run the streetcars on H Street and Benning Road NE every 10 minutes. They are now expected to run every 12 to 15 minutes, he said. That is in line with a new overall approach to the streetcar venture, which has long been high on promises and low on results. “The District needs to match expectations for streetcar service with what can reasonably be delivered,” according to a new Transportation Department summary of changes in the streetcar program under its current management. Dormsjo, responding to a prompt from council member Mary M. Cheh (D-Ward 3), said officials are also considering plans to try to raise private-sector funds for future streetcar-related construction, possibly through a special taxing district covering land owners along an expanded route to the Benning Road Metro station and west to the Georgetown waterfront. “I think that is a great suggestion. I’m surprised it was disregarded by previous leadership,” Dormsjo said. “I think there’s an opportunity, particularly around Union Station, to find ways to allow the private sector to participate” in the investment. Dormsjo noted, for example, that a plan to rebuild the Hopscotch Bridge, where the streetcar line currently terminates on the west end, will cost perhaps $200 million. Simply rehabilitating the bridge would cost $43 million, Dormsjo said. The bridge project will be a “transformative” piece of an overall Union Station redevelopment plan, Dormsjo said, providing not only numerous public benefits but also private ones. It’s “only sensible” to explore private involvement in financing that project and other parts of the future streetcar expansion, he said. The fare-free plan, developed under former mayor Vincent C. Gray (D), was meant to build ridership and deal with the fact that officials didn’t have a fare-collection system in place for what they hoped would be an opening by the end of last year. Now that city officials and contractors are working to fix a series of flaws in the line identified by an outside group of transportation experts, the District has been trying to determine how to charge riders. Dormsjo said the fare system will not be ready by the time the H Street-Benning Road line opens, though that date also is still being determined by project officials. Payment will be required soon thereafter, he said, though he did not announce a fare. “Some form of pay-and-display or mobile payment is something we’d introduce,” he said. One possibility that had been under consideration by the Transportation Department is similar to a common parking setup in which motorists pay at a kiosk and receive a ticket as proof of payment. The exact method is still in flux, but Dormsjo said it’s crucial that riders be able to board a streetcar through all its doors to get the full benefits of the vehicles, which are designed to be easy to board and exit. 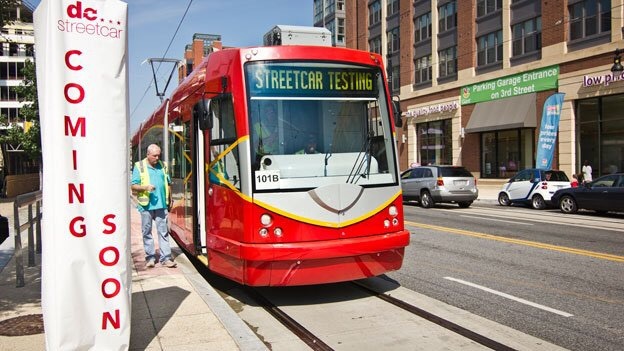 Cheh, who is chair of the council’s transportation committee, pressed Dormsjo to explain the Bowser administration’s recent request for enforcement authority related to streetcars. “These would be streetcar police?” Cheh asked. “These would be streetcar-fare inspectors. They would not be for performing any law enforcement or public safety activities,” Dormsjo said.